3 bedrooms - King Size, Queen Size and two singles - all with their own bathrooms. 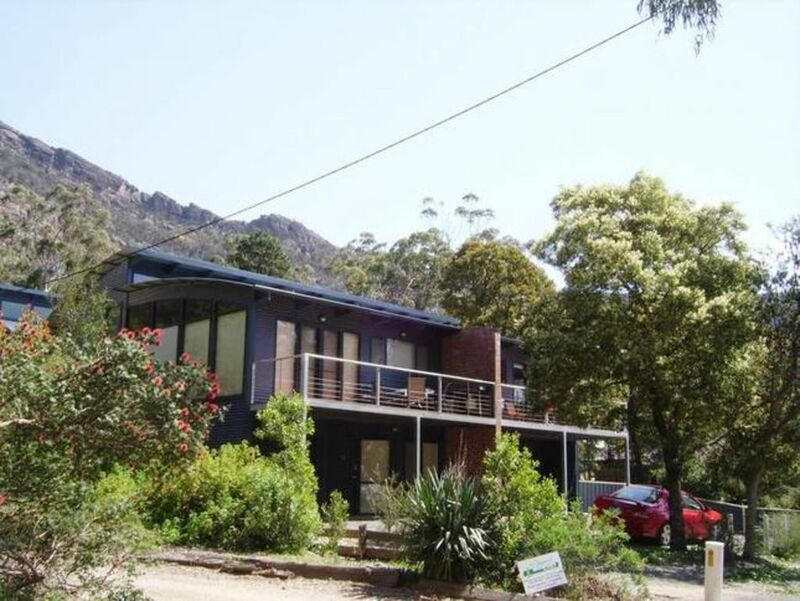 Glengarriff Townhouse 2 is very well situated in Halls Gap at the base of the towering Pinnacle Peak and looking over the narrow Fyans Valley to the Boronia Range. Kangaroos are always out and about over the entire village - we do request you do not feed them as they are a wild animal and therefore unpredictable. Emus are in the valley at different times and generally roam in mobs (ie groups) of between 6 and 10 emus. The shy echidna can sometimes be seen burrowing into the ground or in the constant search for another anthole. There are a few koalas about and usually spotted high up in the gum trees. The Halls Gap Zoo has an excellent selection of native animals and the chance to see them up close and feed some of them. Very family friendly zoo with plenty of facilities for children and for inclement weather. Overall stay and condition of the house was greay. We do make a huge effort to have the house spotlessly clean and well maintained. This property was very clean, everything you could possibly want was there. The kicker for us was there were 3 bathrooms as there were 3 couples so that was a bonus. Lovely walk to Halls Gap village, close to eateries. Well maintained property. Definitely recommend this property. We are thinking about staying here again next year. So much to see in and around Halls Gap. NB: If you have an approximate date of your return, let me know and I can blank out the days for you. If you need to adjust them that can be done closer to the time. Good place, plenty of room and in a good location.